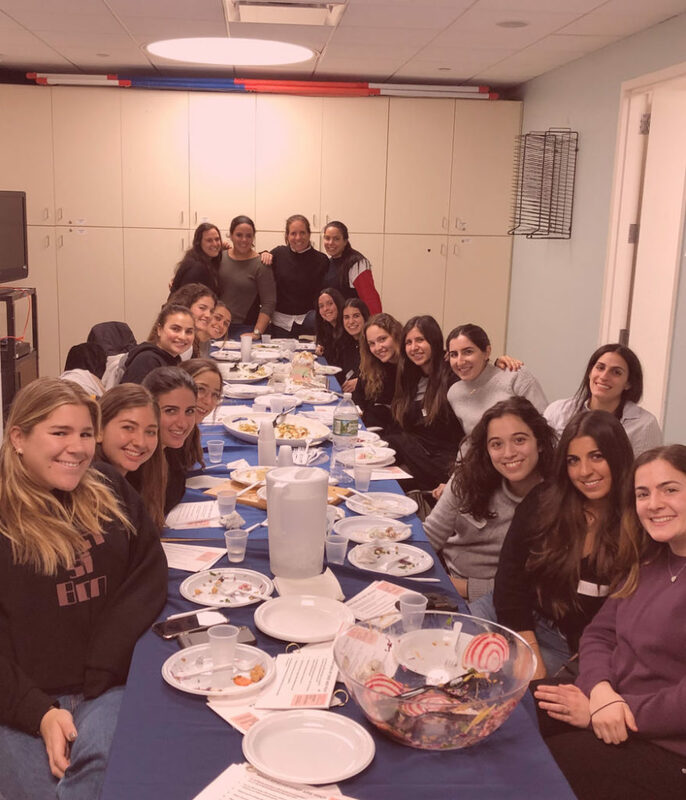 Last month, over twenty young women gathered together at the Sephardic Community Center’s kitchen to cook with chef extraordinaire Claudia Bildirici. As we enjoyed rice paper veggie wraps, white arugula pizza, kale salad with fixings, potato crusted lemon sole, we discussed professional goals. The group was comprised of driven young women pursuing careers in occupational therapy, psychology, physical therapy, education, art management, nutrition, digital media and marketing, among many other careers. Several of the attendees are currently in college and some of the women disclosed working in several positions, including as an event planner, a volleyball coach and a clothing designer. “What type of cooking utensil most represents you?” was a question that ignited an interesting discussion at the PROPEL Recipe for Success event. We talked about the preparation of several recipes as a metaphor for balancing elements in our lives – school, work, family and friends. We acknowledge that balancing requires some planning and talked about making lists to stay organized. Going around the room, each woman was asked to identify a single talent or quality that she possessed and deemed superior. The responses to this exercise were quite telling and included multi-tasking, organizational skills, community building, and public speaking. While a majority of women graduating from high school in our community are attending college, PROPEL is aware that some of these women need career guidance while they are in college or even after they graduate. PROPEL looks forward to hosting additional events for young women in our community and support them in collaborative efforts to move toward their professional goals. Special thanks to Caroll Dweck, Raquel Shalam and Francine Shamosh for helping to organize and facilitate this wonderful PROPEL event.